What do coin-counting machines, machine intelligence in aircraft braking systems and sophisticated packaging solutions all have in common? They are examples of MarketBusters – moves companies have made, even in seemingly banal markets, that spark true breakout growth. In this hands-on, effective workshop, Rita McGrath will describe five lenses that you can use immediately to discover growth opportunities. This will not be a theoretical exercise – there will be plenty of time for application exercises and one-on-one discussion with McGrath about the growth issues facing your company. You will leave the seminar with a powerful toolkit that has been used effectively by companies all over the world to discover growth opportunities. Your shareholders demand growth; your company needs growth; and your career can soar or suffer because of how you drive growth-or don’t. Executives talk about their great growth plans but very few of these plans actually deliver real gains in growth and profitability. Learn from the world’s top strategy guru how some companies manage to beat the odds and bust through the obstacles. 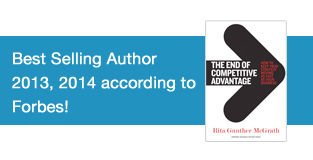 In this hands-on high level summit, Rita McGrath talks about powerful strategic moves, what she calls Marketbusters. By learning the techniques you too can gain significant competitive advantages over your rivals and industries, and deliver blockbuster growth.  Based on her extensive research with companies across industries, she will share 5 Market Busting Lenses and present several proven market busting moves. As a long time member of the Rita McGrath fan club, I was delighted to see this model. It acknowledges competitive realities and shows a clear path forward. Best way to deal with disruption!